Chi Phi fraternity was formed upon the merger of three separate organizations namely the Princeton order, Southern and the Secret Order. The fraternity has over 100 chapters and has over 43,000 fraternity members. The fraternity has been around for over 100 years and has several notable alumni. 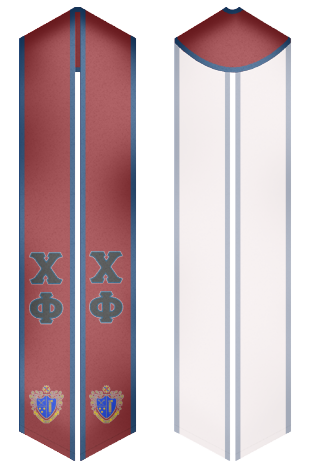 Being part of the fraternity is an honor none the less and when graduating nothing can be better when you have your sash that represents your true association. Order a sash that is built to last and will help you remember this special moment with great joy for years to come.